fine in quality and certified organic. 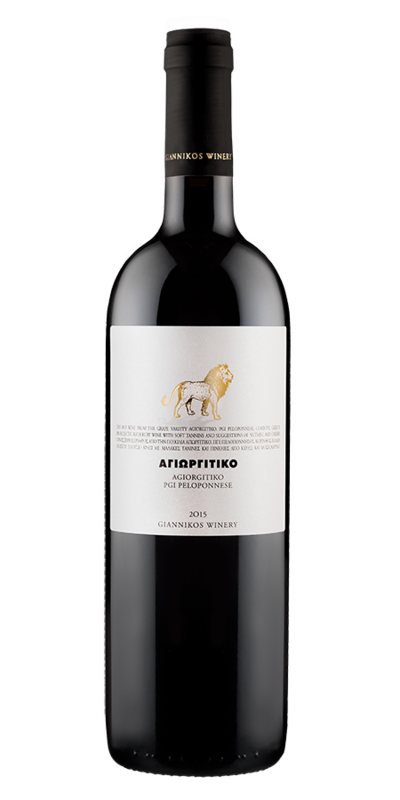 Agiorgitiko is an indigenous grape variety of Greece. Winemaking: Hand-picked and hand-sorted, the wine spends 2-3 weeks on the skins. Aged in French oak barrels for 12 months. Tasting notes: Ruby red colour. Complex texture with soft tannins and hints of plum, cherry and nutmeg. Full bodied with a balanced acidity and long finish. Food Pairing: Grilled meats from pork to lamb, light sausages, poultry and pasta dishes. Label: The first of the twelve labours of mythological hero Hercules was to slay the Nemean lion.